A unique car that covers the interior with wood, checkered curtains to cover up and give it a cozy, homey feel. A cute, stylish feel for a surf trip! 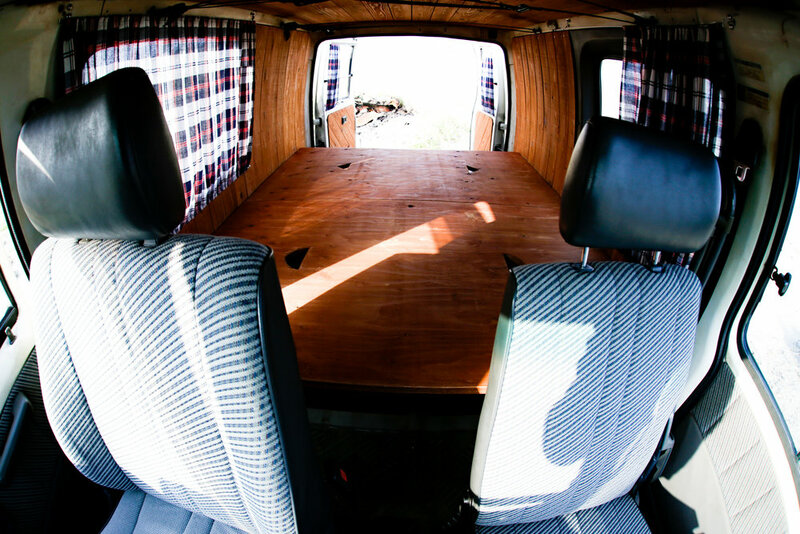 If used by 1~2 persons, the seats go all the way down and offers a cozy space to sleep for a few nights on the road. Surfboards and luggage can be stored inside the vehicle. Best for 1~2 persons. Max 4~5 persons.